Wow. This was the selling point of Commander 2016. The Wizards of the Coast put out five brand new decks, each with a four color general And because designing four-color cards is such a difficult task, they created a new “partner” mechanic, that lets you mix and match a pair of two-color commanders, for some new EDH ideas. If you have been reading the SpartanNerd Blog for awhile, you know I recently picked up Kaalia of the Vast, a three color “mardu” general. I did this because I really like casting Angels, Demons, and Dragons. 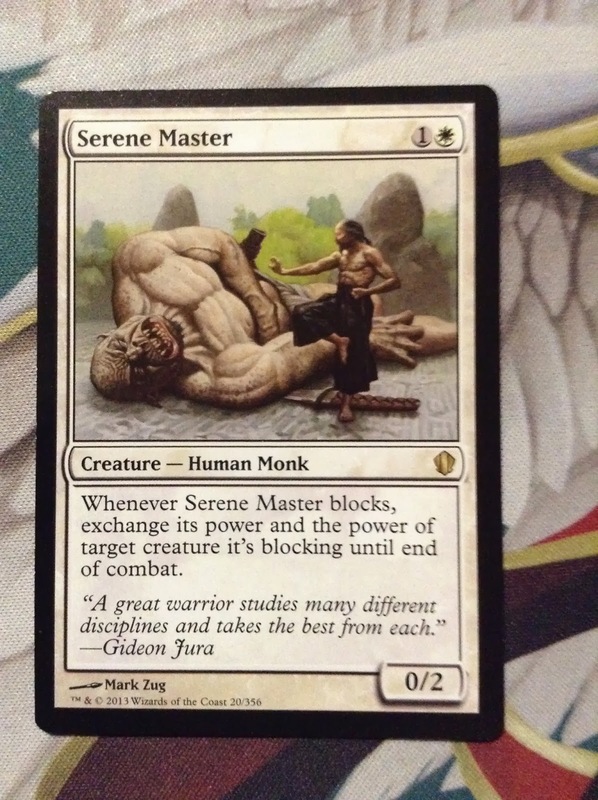 But also…this is one of those cards serious EDH players should have. And at this point, I do consider myself a little bit serious about Commander. I think the “Breed Lethality” deck, with Atraxa, Praetor’s Voice will be the next deck along the same line as the Kaalia thing. You can’t find it anywhere! I have been looking patiently at the big box stores, knowing that they will stock it at MSRP. But all I ever see are “Open Hostility” and “Stalwart Unity.” Luckily, at the SC Comic Con I saw Atraxa’s deck…and in Japanese no less! Because it is in Japanese, (Kanji I assume), I thought it a good idea to wait awhile and get some experience with the deck. This was a great decision. I feel like I have a thorough review for you today, chock full of experience! Well anyway. Here’s my review! We get the same sort of box we always get. This time, though, the writing is all in Japanese. 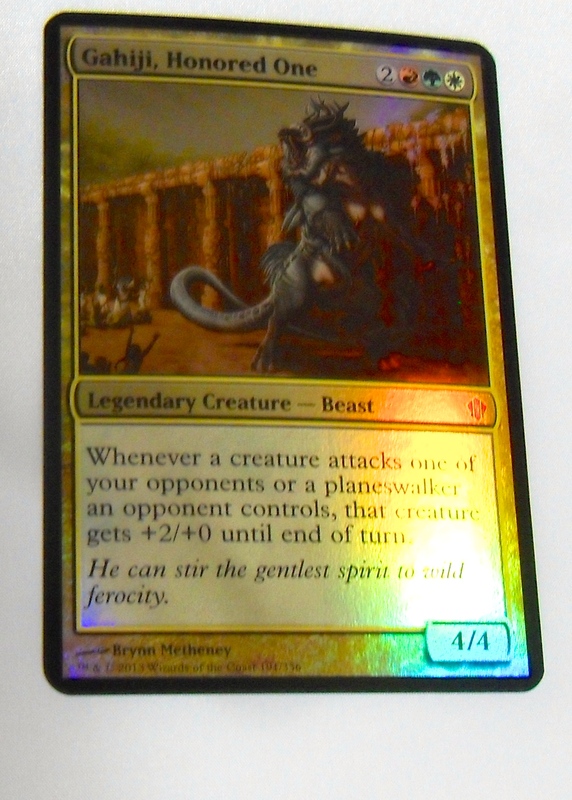 The window shows you a real clear view of the oversized foil general, Atraxa, Praetor’s Voice. Flying. Vigilance. Deathtouch. Lifelink. At the end of your turn, Proliferate. That is…add another counter of any kind on the board…on as many different permanents as you want. This general is so good…, it’s no wonder people want to play it. It is almost like a challenge for you to figure out how to use it! 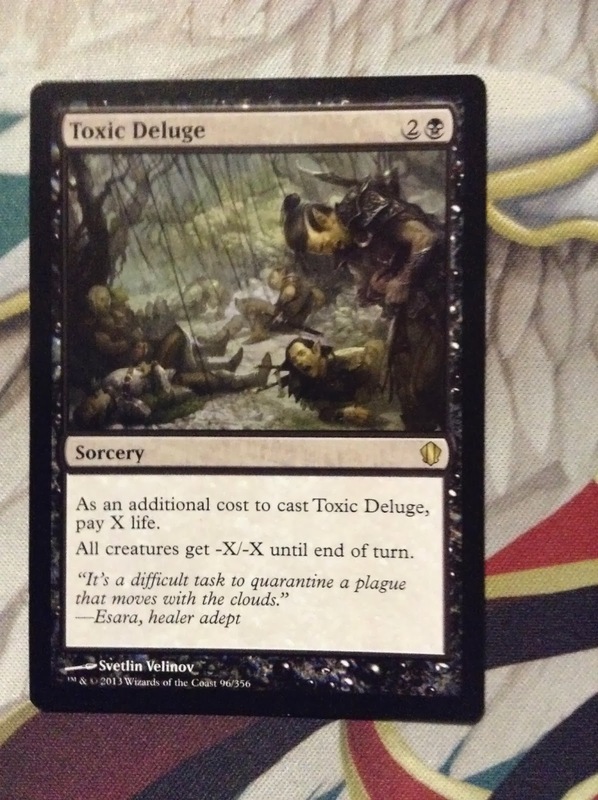 Proliferate Poison Counters…Experience Counters. Abuse cards that look for +1/+1 counters. Suspense counters. Time counters. On and on. Here’s the back. It shows off some other cards. These three are the “Partner” generals. You can mix and match them. In fact, if you did buy the other Commander 2016 decks, you would have fifteen different cards to interchange all together! Here’s the contents of the box. This time I am going to complain a little bit about the box. The other items in the box are…The deck. The General. The box, along with a plastic tray that can double as a swimming pool for Lego Mini-Figures, a how to play reference guide, which is probably just as unsuitable in Japanese as in English for EDH, and then the insert which contains story, art, how to play the deck, and the all-important decklist. But it’s all in Japanese, so I can’t tell you what it says! This week while playing, I heard the Atraxa’s story. 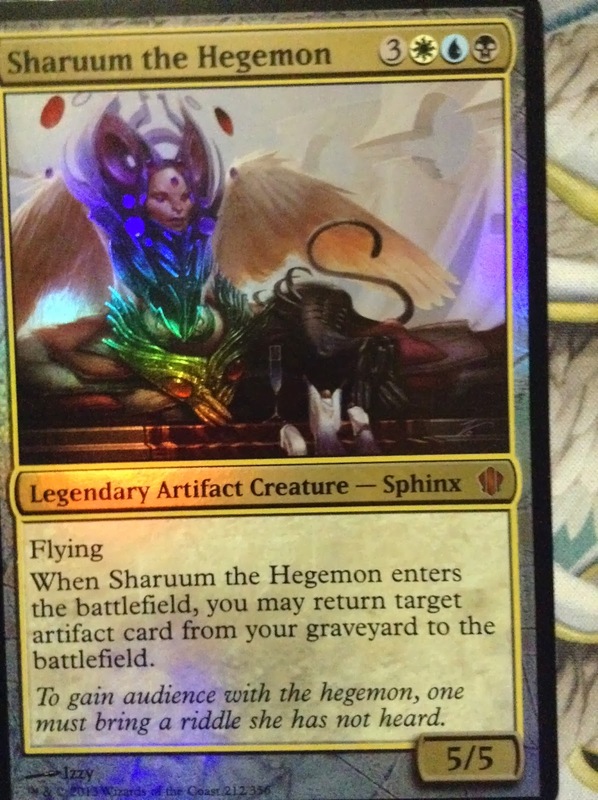 Basically, four of the Praetors, Elesh Norn, Jin Gitaxias, Sheoldred, and Vorinclex each decided to transform an angel into a Phyrexian Horror. Urabrask, the red Praetor, decided to stay out of it. This is why Atraxa is all four colors except red. This is a pretty cool story. I don’t really know that much about the Praetors. I do have Elesh Norn for my Gifts Ungiven deck in Modern. 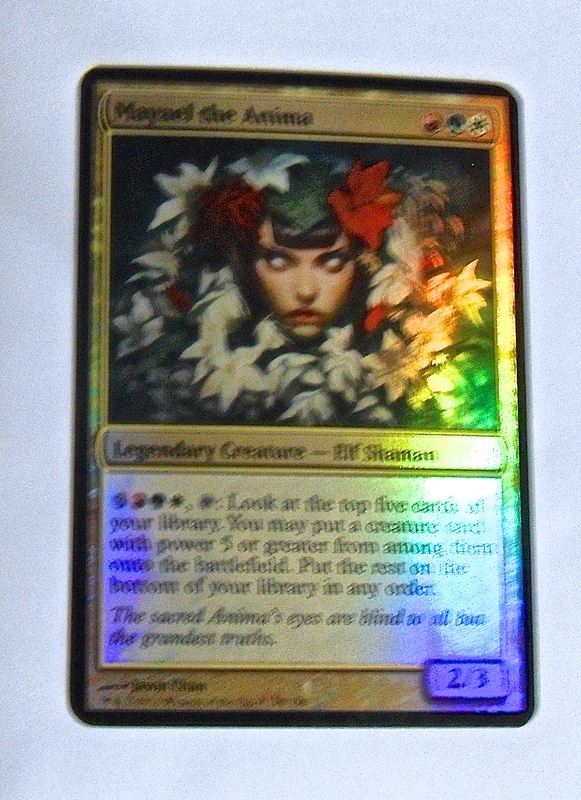 And I have a foil Sheoldred coming in the mail to add to Liliana’s deck. But really, neither would be all that great added to this deck…that’s not really how this deck wants to play out. So…On with a review of the cards! First of all, here are the generals. Atraxa, Who I already explained. You get this smaller card to shuffle and be discreet with in your hand, in case someone out there was wondering. Inkra Shidiqi, the Usurper…this person lets you gain life equal to the toughness of your creatures when they deal combat damage to a player. I find this an odd ability in the colors Green and Black. Unfortunately, I haven’t had a chance to play or play against this card yet. Reyhan, the Last of the Abzan. This character gains the +1/+1 counters of other creatures when they are put in the graveyard. I have partnered Ishai and Reyhan….they are an incredible combination! I was able to 132 +1/+1 counters on Reyhan! Here are the tokens…next in the deck. How cool is it to have a Japanese “Germ” token! Thrummingbird. A 2/2 flyer that lets you proliferate. This is getting you there! Abzan Falconer. Do you like fliers? I thought you did! Tuskguard Captain…everyone gets trample if they have a +1/+1 counter on them! Juniper Order Ranger. Everyone deserves a counter! Whenever another creature enters the battlefield, they get a +1/+1 counter, and so does the Juniper Order Ranger! Mortify and Putrefy. This deck doesn’t have that much targeted removal. These two do nicely, if not as well as Fatal Push, Path to Exile, or Vendetta. Crystalline Crawler, Deepglow Skate, and Duelists Heritage…these are all new cards. They all work really well. You get to load counters on the Crystalline Crawler, who is colorless herself. So you can play that without all of that fixing. Deepglow Skate lets you double the counters on a permanent, and then Duelists Heritage helps you play politics, as you can choose an attacking creature to give double strike too! Forgotten Ancient…He gets a counter whenever anyone casts a spell…even you! Kalonia Hydra…double counters every turn! Ghave, Guru of Spores. I remember the first time I ever saw this guy as a general…wow. He can make a ton of Saprolings. Scavenging Ooze. Need I say more about that card! There are plenty of basic lands, but here are the fixers. You need the power of ALL OF THESE! Command Tower AND Opal Palace. Bounce lands. Tri-Lands. And Evolving Wilds. As I have played against this deck this week, I have noticed one of the most striking modifications is to add Fetch Lands and Shock Lands to help with the fixing. 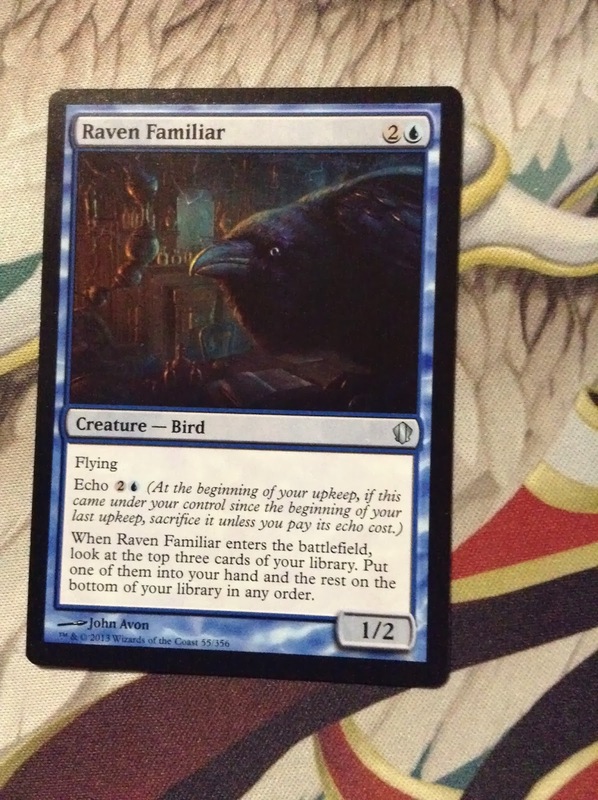 This is something I have rarely seen in Commander…but it makes sense for these four color decks. All week I have played this deck, and played against it. In different places. So I have a varied look at it. The deck is great as is. And I have seen it played like that some. When I have played it, I like Forgotten Ancient/ Ishai Ojutai Dragonspeaker combo. The Mana Fixing has to be right…But I haven’t had any trouble myself. I have seen other people have trouble assembling the necessary mana base, however. You want to be sure to get some creatures on the battlefield, and then to have some counters on those creatures. Besides not assembling the colors you need, the other way to lose is to have “counter screw.” This actually has happened to me, and it’s frustrating. But it was all about the luck of the draw that time. You want to get cards like Corpsejack Menace, which doubles the counters. You have to be careful about the order of the triggers in order to maximize your value, however. When playing against other people who play this deck, I have seen one standout strategy for a custom deck: infect. In EDH, you still are dead with ten poison counters. Not twenty as you would hope. I saw one guy kill everyone at his table in one turn. I was holding an excellent mono-black hand, and that guy ruined my game! I’m going to give this product a 5/5. It’s goodness all around. The Wizards were able to give us a functioning deck with cool new game play. They didn’t have to reprint fetches and shocks, (which would have wrecked the product availability and after-market price even more.) The four color commander Atraxa is great, and promises a future of creative deckbuilds. I’m not sure how the “infect” problem should be handled, though. Atraxa is well loved, and so a ban probably isn’t going to happen. 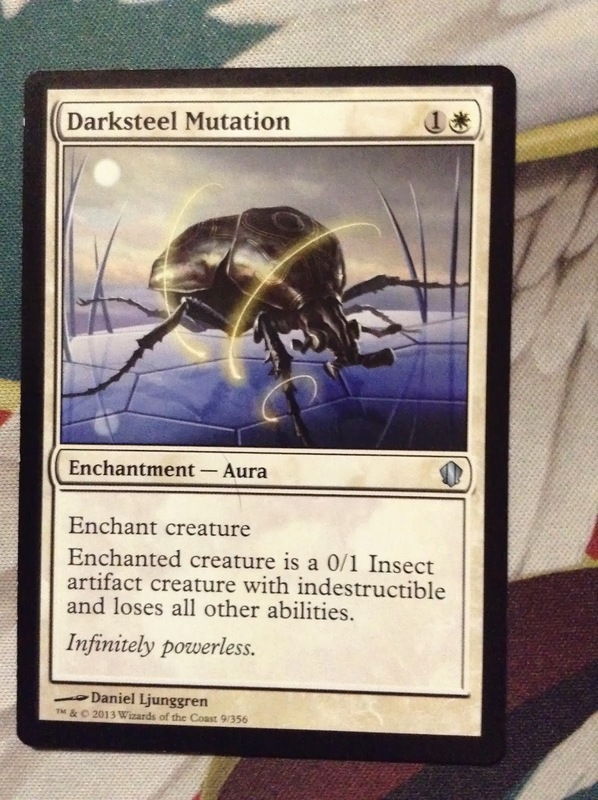 But getting killed off frequently by infect isn’t fun. So there’s a problem for the EDH rules committee. THE SPARTANNERD RATES “BREED LETHALITY” 5/5. Do you agree or disagree? Let me know in the comments! I picked up my copy at Toys-R-Us. Yes. Still on the shelf. I paid $40. MSRP was $35. But this deck is selling on the internet for way more money. And I could piece it out and get well over my $40 worth of cards back if I wanted to. 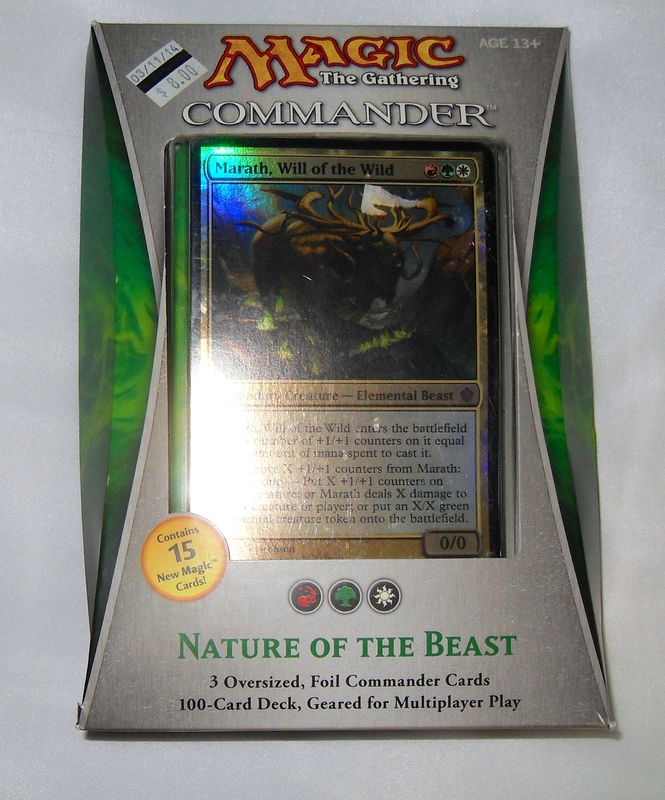 I owned two of the Commander 2014 decks already, Ob Nixilis and Nahiri the Lithomancer. I truly hadn’t stopped to appreciate Freylise’s deck until the Wizards brought so much attention to it. I have found it to be a thing of beauty, and certainly worthy of a re-print. “Guided By Nature” came in this traditional window box packaging, showcasing the Planeswalker Freylise, who can also be used as a Commander. 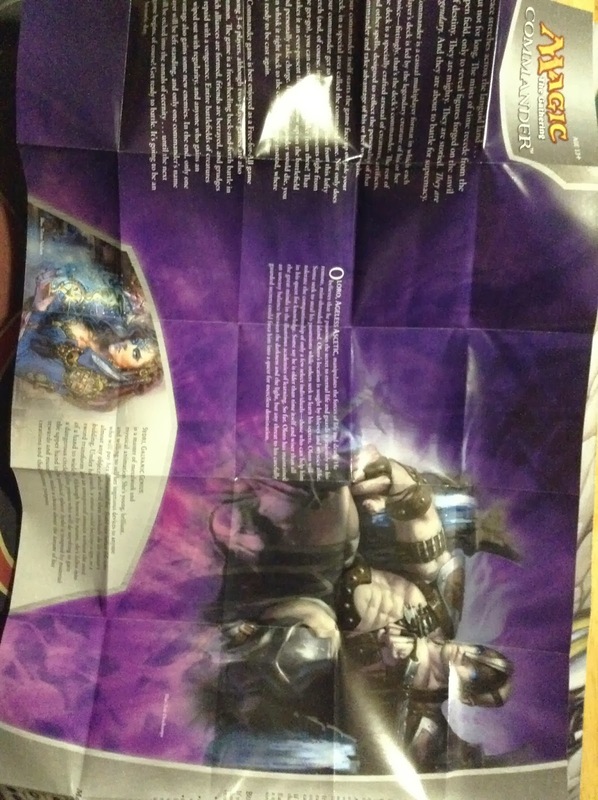 We are told it is a 100 card deck, and there are 15 new Magic cards in the deck. On the back we see some of those new cards. We get lots of propaganda. You can see the names of the other two decks I don’t have, “Built from Scratch” and “Peer Through Time.” This doesn’t really inspire me to get Deretti, Scrap Savant or Tefuri, Temporal Archmage’s decks. Freylise’s deck didn’t open any differently than the Ob Nixills deck. 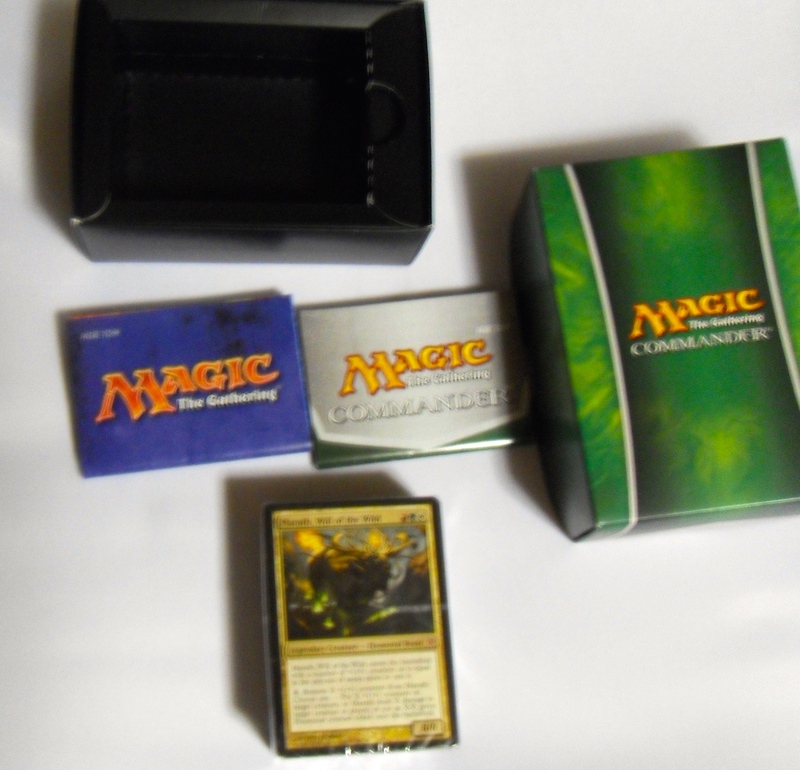 You get the big splashy oversized card, a cellophane wrapped deck, a piece of poster just for this deck, the guide to playing Magic, and a pretty good deckbox, which has a tray inside that is more useful if you take it out. The Guide to Playing Magic is completely useless for this Commander product, and should be disregarded by new players. That guide only tells you how to play regular Magic, not Commander. We get even more double sided tokens. (The same cards are featured in both images, just flipped over. )I already expressed that I feel that it is likely more challenging to make double sided cards for the Wizards. While they have access to the factory to do so, (for the main purpose of Origins Planeswalkers and Shadows Over Innistrad block), they have gotten lots of milage printing double sided tokens. These are great! And very useful as you play the game. 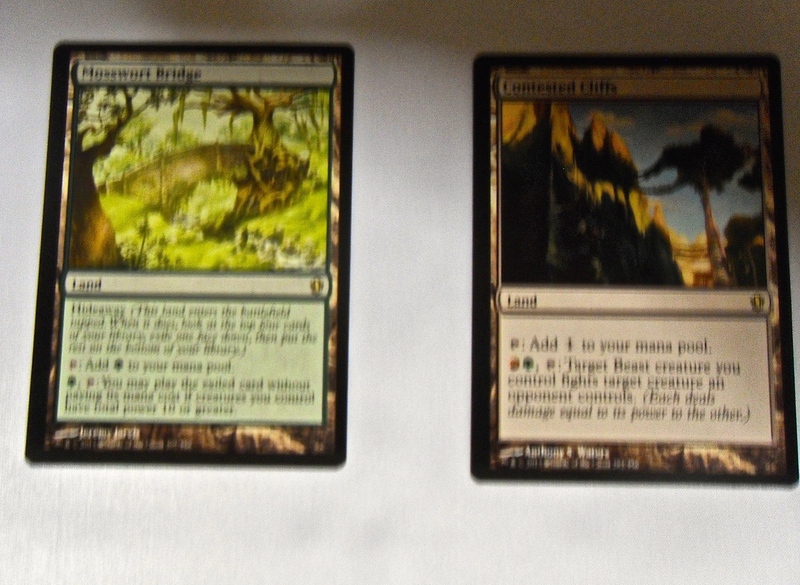 Should I show you a picture of plain basic lands…Nope. I’ll skip that. 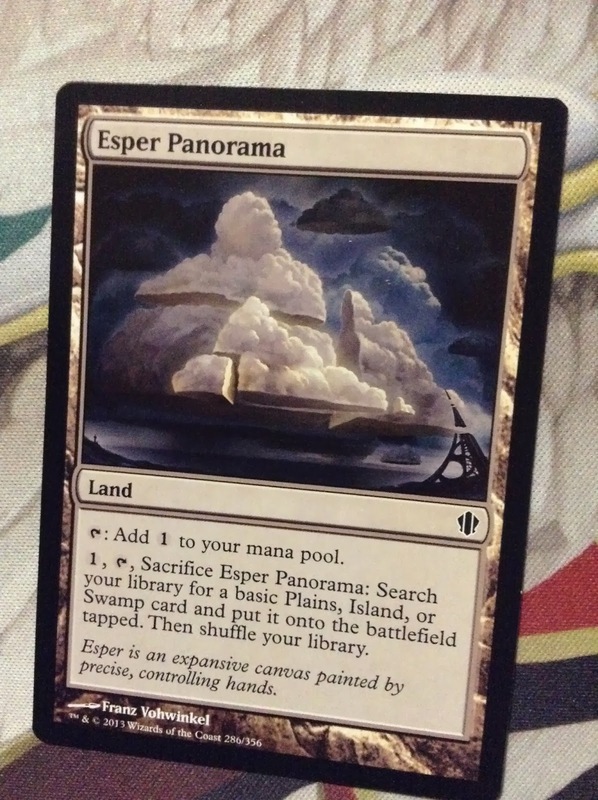 We get these special lands. Notable is Crystal Vein ad Havenwood Battleground. These a “Sac Lands.” Ghost Quarter, Haunted Fengraf, and Evolving Wilds are also quite useful. So what does Freylise do? Rolling her up gets you a mana elf. You really want THAT in this deck! Rolling her down will get you Naturalize. And her -6 is important because that green card draw is hard to come by! We get two more commanders. I have yet to try Titania. But Ezuri is a super “elf lord,” and I couldn’t help but give him a try! As usual, the rares are on top. And you get an INCREDIBLE amount of them. From Seer’s Sundial to Thunderous Baloth, to Beastmaster Ascencion. The rares in this deck work wonders to bring you a win. You get lots of regular green stuff too…stuff that should be in every green Commander deck, like Silklash Spider and Emerald Medallion. This deck is TRIBAL ELVES. And that becomes clear when you look at the rest of the cards. Question: How many mana elves does it take to screw in a lightbulb? But you need this critical mass of elves to make some of the effects in the deck work. Think by to Ezuri, the alternate commander. Lots of elves means Ezuri wins! It is also great that most of these creatures are small, with low converted-mana-cost. That makes a card like Thunderous Baloth, with its Lieutenant ability, really shine! And finally we get to some of the usual stuff. Sol Ring has to be in EVERY deck. Commander’s Sphere and Swiftfoot Boots. Also worthy must includes. Overrun. How many times and different ways can you give your creatures +x/+x and trample? 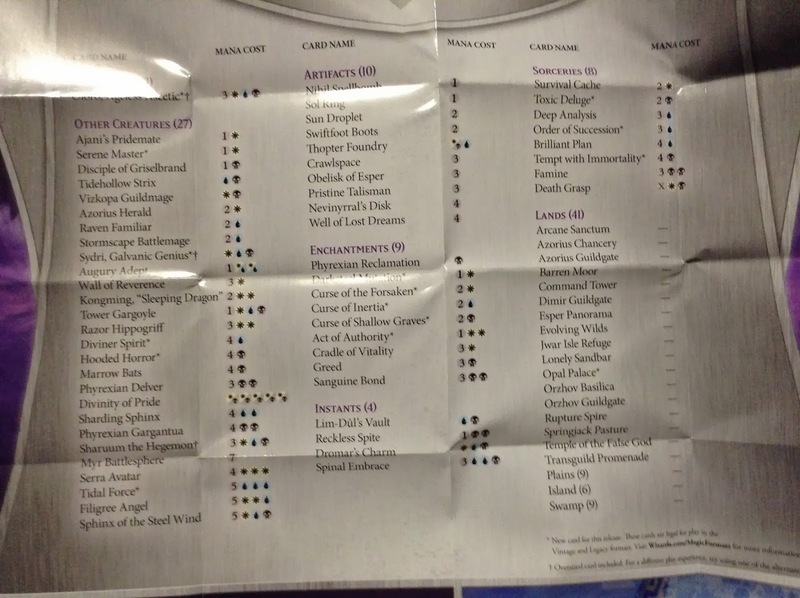 Here is the full decklist from the poster. HOW DOES GUIDED BY NATURE PLAY OUT? Great. For real! I haven’t seen this deck lose. The mono-green elf strategy is tried and true, and the Wizards have given us one of the finest mono-green decks of this sort. Can it be improved? Absolutely. Add some more expensive cards. Craterhoof Behemoth. Crucible of Worlds. Gaia’s Cradle. And so on! Allosaurus Rider. Nylea, God of the Hunt. I see why this deck has elevated to Anthology level. And am proud to own it. I score it a 5/5. I have found that “Evasive Maneuvers” and “Plunder the Graves” are also rated 5/5. I can only imagine that “Heavenly Inferno” would be a 5/5 as well, but I think I can affort to piece that together rather than purchasing it. Either way, I WON’T be getting the Commander Anthology this summer. It would take some serious enticing, like foiling it out for me to change my mind. I mean, I already own the bulk of the product! The SpartanNerd gives Frealise’s “Guided By Nature” deck a 5/5. Do you agree or disagree? Let me know in the comments! So what did the SpartanNerd get on his special day this year? A full set of Commander cards! Loyal, (probably bored) readers know that I have intended to do sleeving videos, and discuss the cards. But that hasn’t worked out. My first two attempts were with “Call the Spirits” and the graveyard deck, which means at least in the case of “Call the Spirits” that you are getting a review post sleeving, post playing. I have played about six matches with “Call the Spirits…” is it any good? Keep reading! 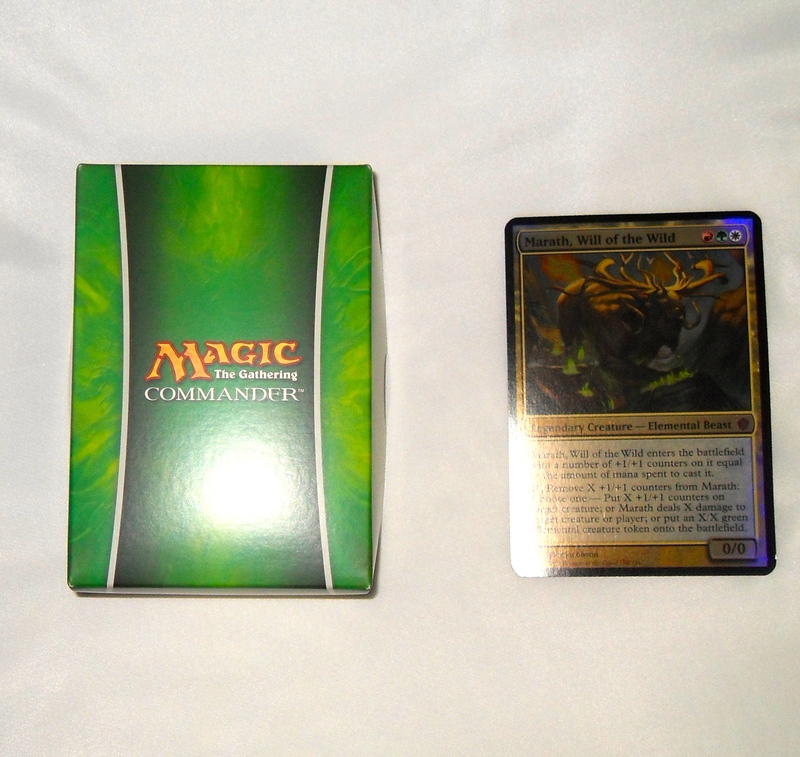 Each commander deck came in a similar box as before. There is a big window, where you can see the oversized foil commander card. 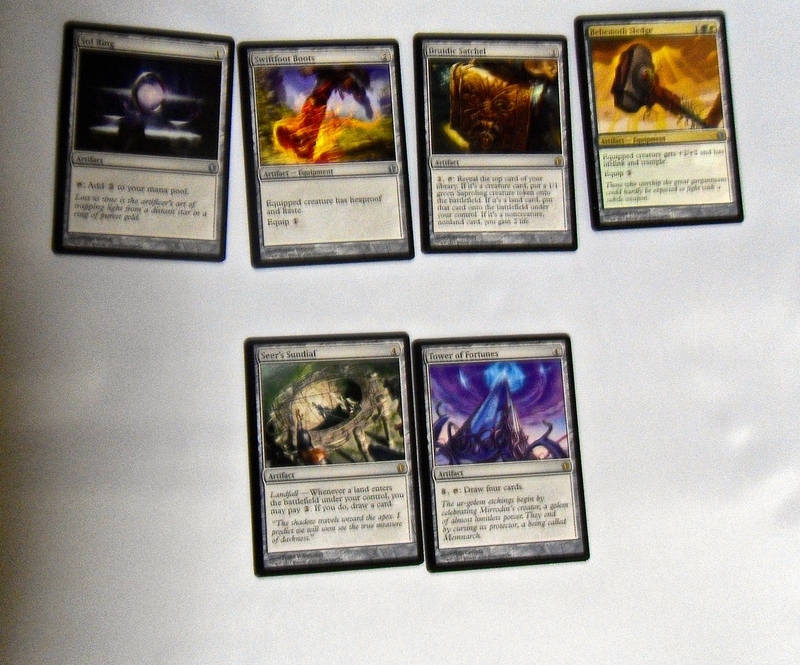 One thing I appreciate more and more about these big cards…I can easily tell who has what commander far away. The guy at the end of the table with a non-oversized commander…I might not be able to see the card, and therefore also disregard. The back has some cards from this particular deck. As with other Commander decks I’ve opened, it’s best to open from the bottom. You see this nice little plastic blister tray. and then this is the oversized card beside the box. The cards cellophane wrapped. Notice the “Gold” token on top. And a guide to playing this particular deck. The guide to playing the deck has some good information. We get a little of “Daxos, the Returned” story, and the story on someone else called “Karlov, of the Ghost Council.” I keep these papers for reference or fun later. Now my review of the cards. Remember what I said at the beginning…this isn’t a true unboxing…rather a review of the cards. The tokens are double-sided. I like that the Wizards started doing this last year. The grown-up inside of me thinks that in order to print double-sided Planeswalkers, they had to meet a minimum quota of cards needing two sides…so this is how they accomplished that. But it is a handy idea. We are getting double the value! Here is Daxos the Returned. I would like to take a moment and discuss the importance of the character. Daxos was a side-character in Theros. And many of the cards in this deck, (as well as in the Black Green deck) have flavor from the Theros block, which was a Magic set based on Greek Mythology, with a pantheon of gods that headlined as “enchantment creatures” as well as much more minor enchantment creatures. The fact that creatures can also be enchantments is one of the tricks to this deck. Daxos was killed over the course of the Theros story, and this is what happened to him. He went to the “underworld”…we would say “Hades,” it was called Asphodel in Theros block, and “returned” as a zombie. Daxos original card was pretty good, but didn’t see much standard play. It was white and blue, and let you play extra cards if you did combat damage, or something like that worth looking up. This card doesn’t give you any of that, but is more powerful as far as board presence. Daxos the Returned gets experience counters whenever you cast an enchantment spell. And Experience counters are something new. Look at the tokens above…you get one token that is for keeping up with Experience counters. They work similar to poison counters, but instead of making you lose the game, they do something positive. Daxos second ability lets him make blockers. At instant speed. Quite important, because this deck is pretty slow otherwise. There isn’t a single “instant” in the deck. (There are some cards with flash.) But the ability to get a BIG blocker for only 1WB ANYTIME, is nothing short of handy, especially when you have a ton of experience counters. Teysa has protection from creatures. 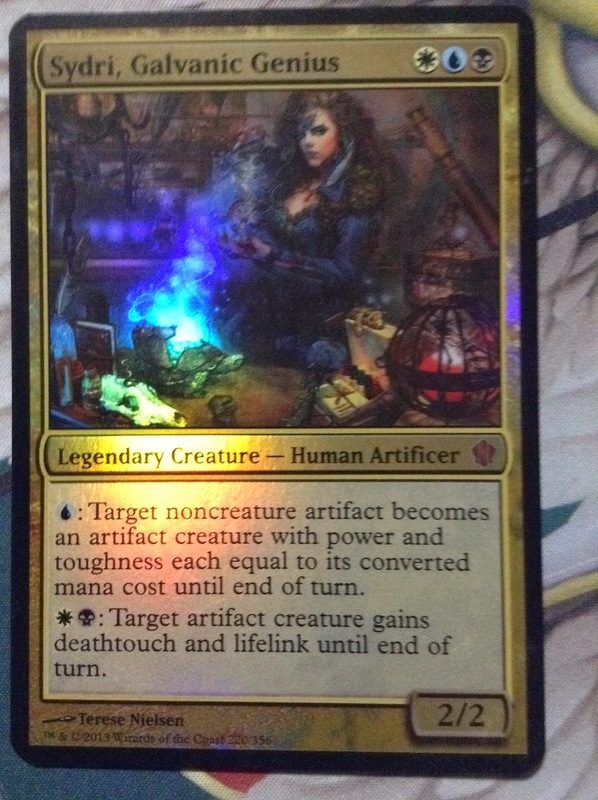 So in commander, she is also incredible. But she is a little slow as a seven drop. It is also a little sad that the creature has to do combat damage to you before you get the flying blocker. All of these are really great in this deck. Fate Unraveler never really saw Standard play. But here in Commander she rocks! Doomwake Giant saw lots of play in Standard right before the Theros block rotated out. It has Constellation, an ability that triggers when an enchantment enters the battlefield. In his case, he gives all other creatures -1/-1. Mesa Enchantress. An enchantress in Magic is typically a female character on a card that lets you draw cards when an enchantment enters the battlefield. Silent Sentinel, another intro deck card. This card, like Treasury Thrull, lets you get enchantment and artifacts back from the graveyard. Ajani’s Chosen lets you get a 2/2 cat token when you cast an enchantment spell. Celestial Ancient…I hate the art on this card. (I hate Treasury Thrull’s art just as much). When you cast an enchantment, all of your creatures get a +1/+1 on each creature. Bastion Protector is a new card, and it cites Commander creatures…the last set we got had cards with “Lieutenant”, a similar ability. And finally, my favorite. Nighthowler. You can bestow Nighthowler onto a creature, and give that creature +1/+1 for each creature in every graveyard. Incredible. And if they kill the thing he is bestowed upon, he falls in place as a creature that is a least one 1/1 bigger. This card was really good in a devotion deck, requiring two blacks. And with bestow it was adding even more devotion. There aren’t many sorceries in this deck. And they are all fairly cost intensive. Righteous Confluence is what is notable here. This is a new card, part of a cycle. You get to choose up to three of the options, and may repeat any of the options more than once. Gild is how you use the gold token. The gold token was rather rare during Theros block. I think that is one of the greek stories that resonate with people, and make people feel that flavor. The only sweeper in this deck is Deadly Tempest. And Open the Vaults has generally been too risky to play in all of my matches so far. Here are the interesting lands. It is good to see Vivid Meadow and Vivid Marsh here. There are only four dual lands. We get Tainted Field. 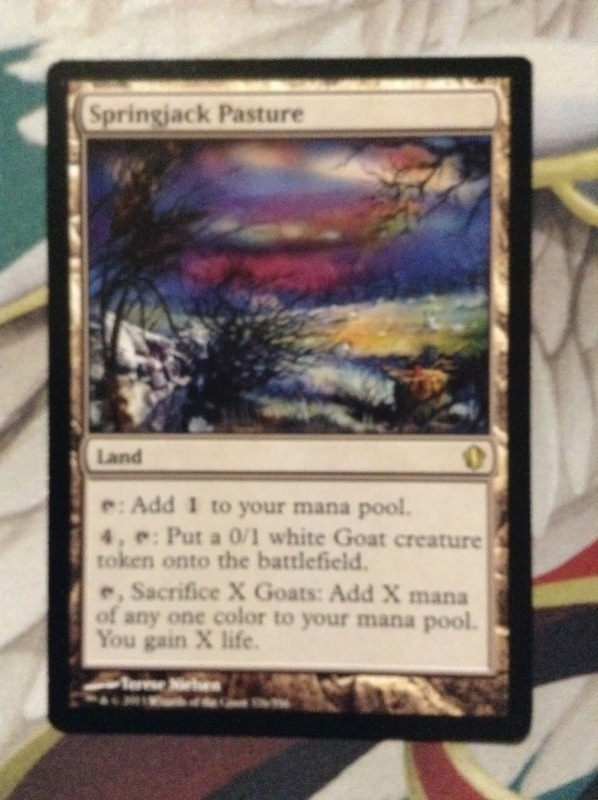 This is a land that I think should be allowed in Modern. Because enchantments are so important to this deck, this part has to be solid. And it IS. Underworld Connections gets you card draw. Sigil of the Empty Throne is a winner in this deck. Dictate of Heliod…with flash in combo with Sigil makes you have surprise huge angel blockers. Daxos Torment becomes a 5/5 flying demon each time another enchantment enters the battlefield. And Karmic Justice evokes Karmic Guide. Basically, you want as many of the effects to stack up in your favor as you can get. Make an unstoppable army of angels or spirits. And crush your opponent. The two seals, Seal of Doom and Seal of Cleansing are incredible in this deck. And if you can bring them back over and over, this is how this deck does removal for the most part. People who play Commander depend on artifacts. Just get Seal of Cleansing over and over, and you can stop them. And guess what…they’ll try and exile it while it is on the battlefield. You can just sac it in response, and target your own mana rock. Banshee of the Dread Choir is a new card, with the “myriad” ability. Whenever the Banshee attacks, a copy of her attacks each other opponent that isn’t the defender. And when she hits…they discard a card. This card discourages the “group hug” strategy. 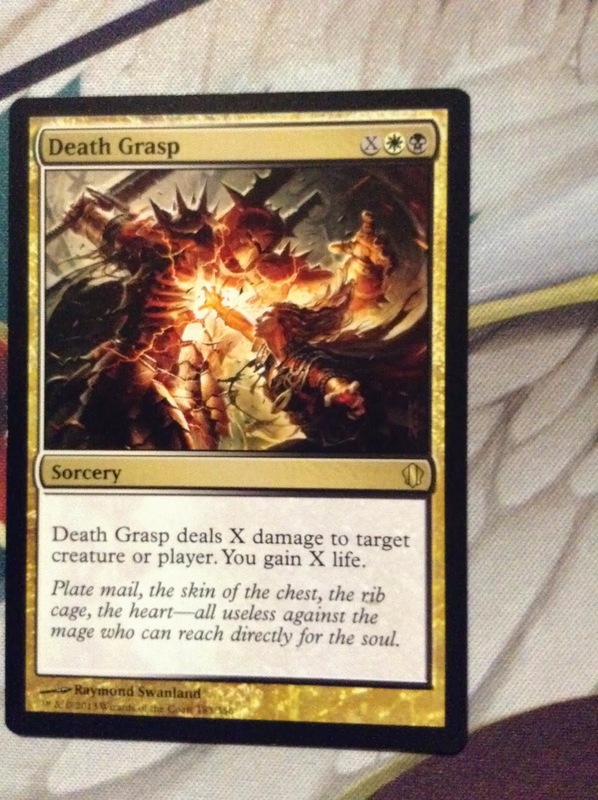 Cage of Hands…another creepy Pacifism type of effect. Crystal Chimes, sacrifice it and get all of your enchantments back from the graveyard to your hand. I’m glad to see Burnished Hart here, use it to block, and then sacrifice it to get a basic land. It’s good to see Lightning Greaves reprinted. Underworld Coinsmith is great flavor and a good effect to help out Karlov of the Ghost Council. Everything here feels like it belongs. There might be ways to tweak it and make it better. Maybe add Merciless Eviction, Erebos, God of the Dead, Heliod, God of the Sun, or Athreos, God of Passage. But overall, a pretty good, solid deck. 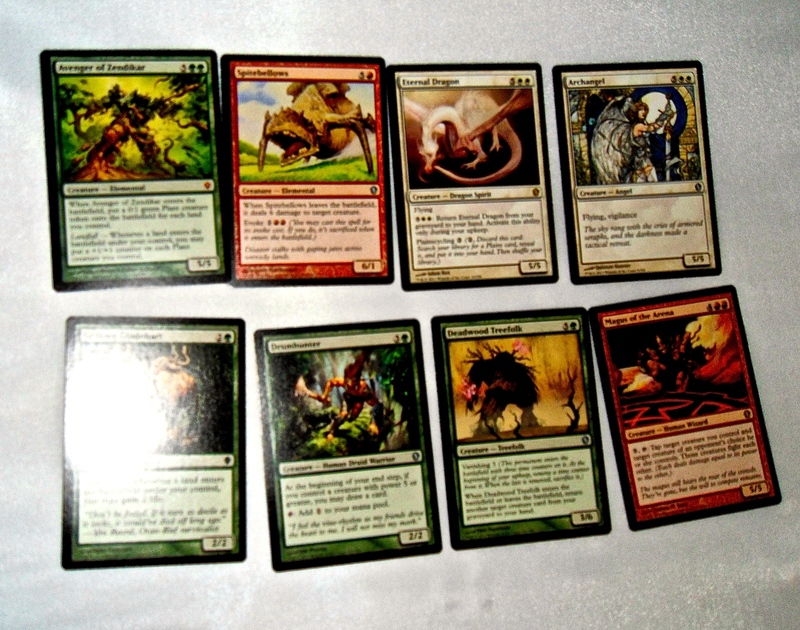 I don’t really collect Magic cards for their value. I don’t really see that much money here, though. Maybe not even the MSRP $35. Black Market? Here is one that has been rarely reprinted and could see more legacy play. (This printing has caused the price to fall a little bit.) Lightning Greaves is worth a couple of dollars. A quick look at TCGplayer pretty much confirms it. Not much monetary value here. I have played out six matches with “Call the Spirits.” Those that I lost, I lost to speedy strategies and mana screw. This deck has a large percentage of four and five drops. It doesn’t work against “Thoughtsieze” early game. It doesn’t work against the guy who can smash you early with a giant Craterhoof Behemoth or Wurmcoil Engine. If you can manage to get the seals on the battlefield, and use them over and over, you can win. Casting them gets you experience counters. (As long as Daxos is on the battlefield.) Casting them causes triggers. And triggers are good. I played against the Red White deck from the same set. Sigil of the Empty Throne was what won the game. It took less than fifteen minutes. The deck has beaten the solitaire Minotaurs deck, but lost to Defeat a God solitaire deck twice. And it took out Nahiri the Lithomancer’s deck by out-chumping it, using “Sigil of the Empty Throne” as well as recycling Seal of Cleansing over and over. It is a fun deck! It has some flashy rares. It doesn’t give you much monetary value, though. 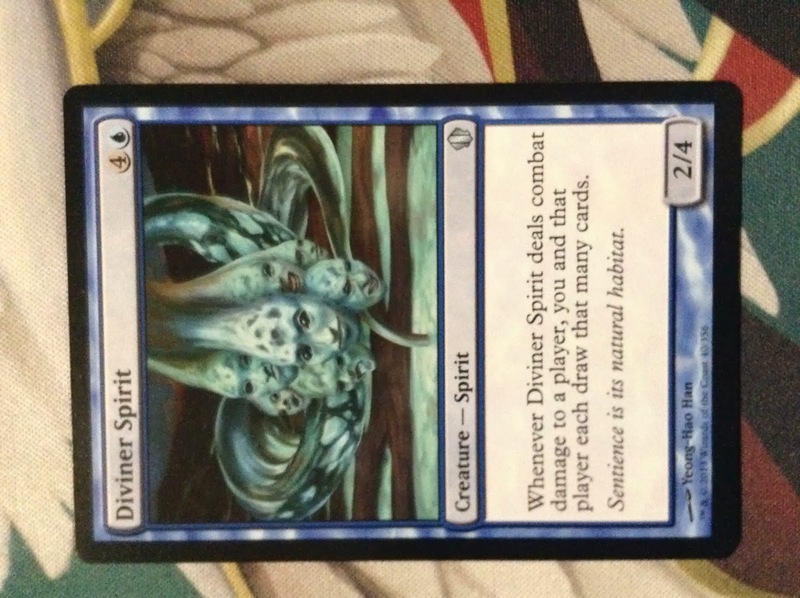 So what does the SpartanNerd rate Magic the Gathering Commander 2015 “Call the Spirits” deck? I am going to give it a cautious 4/5. I really like the Theros flavor of the deck. I thought playing all of those enchantments might be a little boring. Especially seeing how it had no instants. But it has been fun to play and try out. I don’t see myself taking many things out and changing it much…it isn’t broke, so I won’t fix it. The SpartanNerd rates “Call the Spirits” a cautious 4/5. Do you agree or disagree? Let me know in the comments! So I present my unboxing and review! Here is the box. Notice the Ceremonial sticker at the top. $8.00! Anyone notice that this commander is a MOOSE? NATURE OF THE BEAST comes in a similar deckbox as the others in this set. This time it is green, to highlight that this deck is aimed at green magic players. (Not Martians. People who play green magic, silly!) 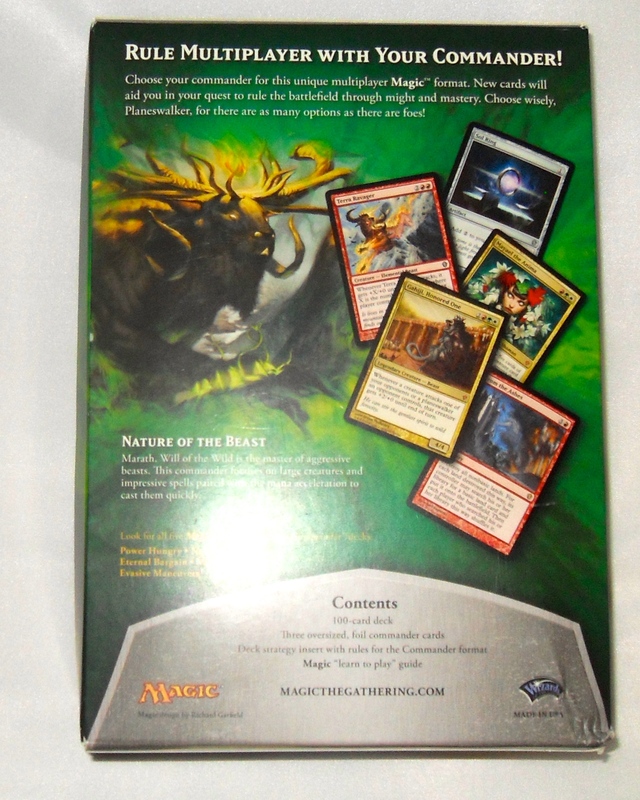 When you remove the top of the box you get to see the main commander moose, Marath, Will of the Wild. He is pretty good, having counters determined by the amount of mana spent to pay for him, and able to give those to someone else. Now for a look at all three commander cards. Yep. Just like the other sets, this one has three also. Of the three, I have only ever seen Mayael the Anima actually played before. Competitive players like card draw, and green doesn’t get that much. So that’s my theory why. 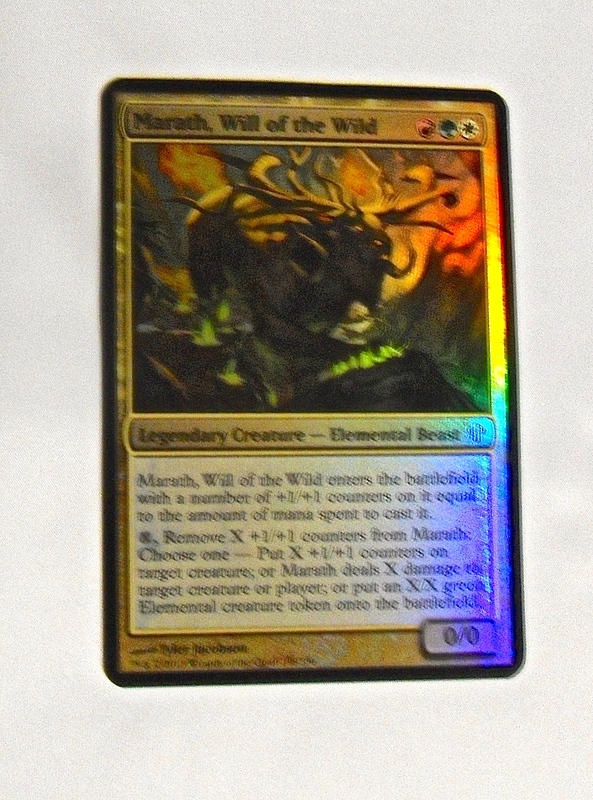 The other two, Marath Will of the Wild and Geiji Honored One both add to the Beast flavor of this deck…both can pump creatures. So what else came with this deck? Here’s a pic. I don’t need to be reminded that I am a Planeswalker anymore, so I trashed that right away! 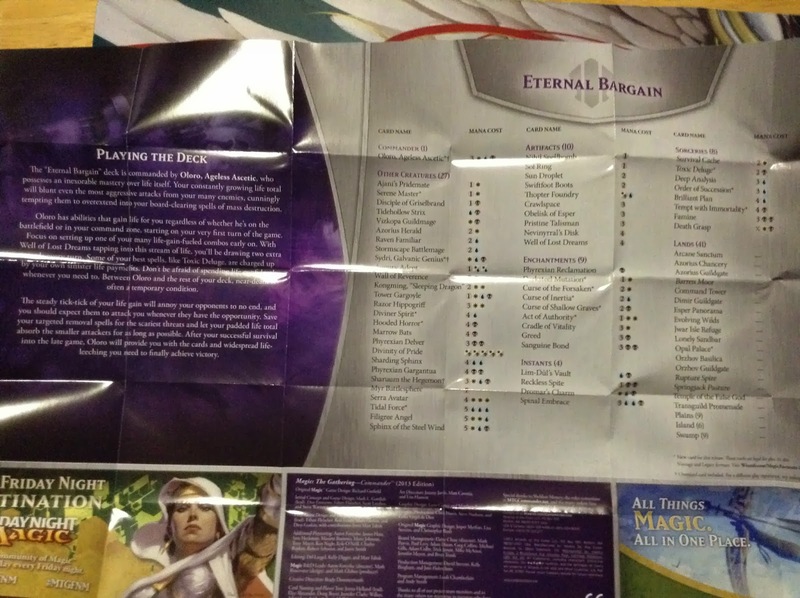 The pick also shows another paper, which is the “instruction manual” for the deck. The most important thing here is the deck list, which I will reveal below. First of all, there is a strong tribal vibe to this deck. There are more Beast creatures than anything else. Here is a picture of a select few. Not only are they Beasts. THEY ARE BEAST!! And nearly every one has an ability that either has something to do with land or pumping someone else. They’re not ALL beasts though. Here are the other creatures. These guys compliment the beasts pretty good. They are all ust as expensive and all. The least inspired of them seems to be the Archangel, who it is nice to see the classic art of. However, it’s still just a plain old 5/5 flyer with vigilance. Not really sure why she’s here, except that it caters to a certain style of fan. There are some good artifacts in this deck. I am a fan of the colored artifact hammer thing here. 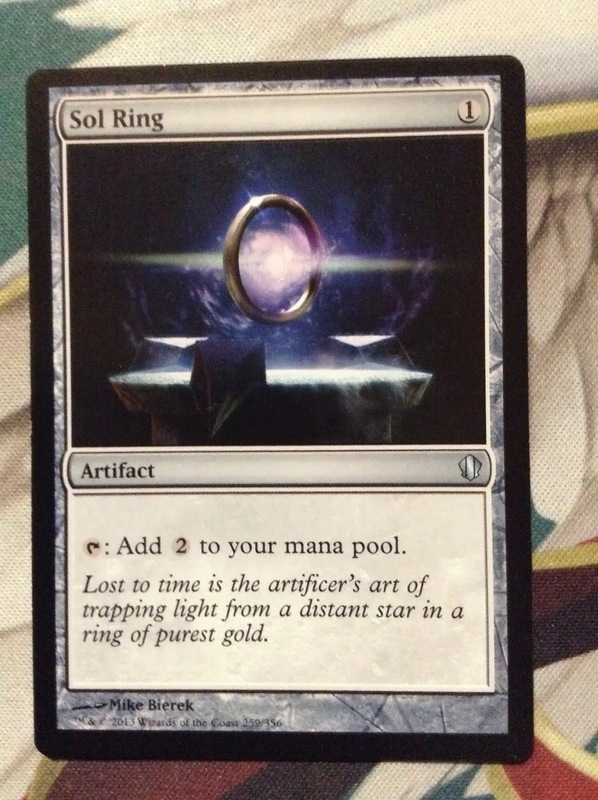 Of course we get the Sol ring, which I learned the hard way was banned in Modern…Hey. It’s a great card. Too great I guess. Then there is the Swiftfoot boots. An underpowered filler. This is the kind of thing I groan about when I get it in a booster pack. Yet every Commander deck in this set came with a copy of this card. Why? There are a lot of different kinds of land in this deck, but I thought I would share my favorite standouts here. 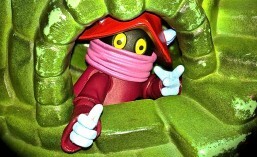 Mosswort Bridge is a “Hideaway Land.” I had none of these before! It’s cool! Basically you get to exile some cards, and then you can play them much cheaper. A great advantage for this deck especially, with its really high mana curve. The Contested Cliffs card is aimed at that tribal beast flavor, forcing a fight between a one of your beasts and someone else’s probably weaker creature. Blah Blah Blah. Yes there are instants, sorceries, and enchantments. But lets get down and see how the first match went. I used Marath, but never casted him. I did get to cast Mayael the Anima, twiche actually…(she was sent back to my hand.) On about turn twelve, the Power Hungry deck was finishing everyone off…I mean, it’s hard to beat that big flyer, no matter how much “trample” you can get from your beasts. Which confirms why my Magic color of choice is BLACK and not GREEN. I disagree with that philosophy, to sort of quote Gideon. Regardless, I got a great value for this deck. I’m sure I will have many more wins to it. But for now, I am putting it with the other decks, I HAVE A COMPLETE COLLECTION! What do you rate it? Let me know by sending a comment, oh Hub City Geeks! Posted in Commander, Commander MTG, EDH, Magic the Gathering, review, SpartanNerd, Uncategorized. HOORAY! The SpartanWife got me the OLORO, AGELESS ASCETIC DECK! As far as a product, it is more or less exactly the same as the Derevi deck that I already reviewed as far as the packaging and presentation are concerned. The SpartanSmurfs both got a commander deck also(Mind Seize and Power Hungry), and they are all boxed the same, with a different set of instructions specific to their deck, a different color box for storage, and three oversized commander cards. I might get to review their decks as well, if they don’t mess them up too bad. You are always gaining life with this deck. 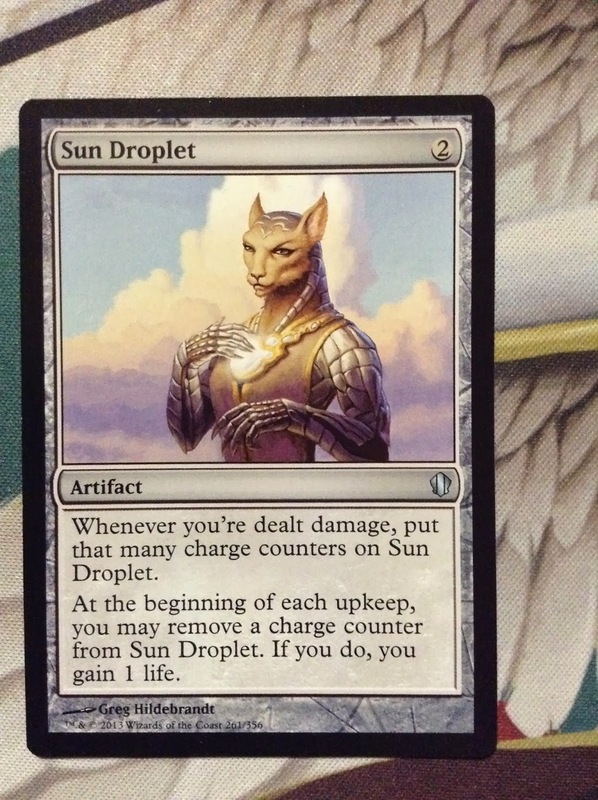 And the cards included count on that, as many of them say “Pay X life…” as a cost for their effect. This is what the box looks like. You can clearly see the three colors, White, Blue, and Black, “Esper.” The purple coloring is a good compliment, though it doesn’t mean anything else to me. My boys were puzzled by the purple…all of the other commanders have a color of box that represents one of the REAL colors of magic. Here’s the back. It’s just propaganda. All that hype aside…you open the box and see something LIKE this. Only this isn’t the correct product. This is what POWER HUNGRY looks like inside. not ETERNAL BARGAIN. How did this happen? Regardless of how I swapped out the pics accidentally, I assure you it looks like this when you open it. You get a nice box that perfectly fits the deck….at least when the cards are sleeveless. Three big foil cards. And two pieces of paper. You might as well throw the blue one away. The other one is specifically for the deck it came with. ETERNAL BARGAIN came with this commander on top. OLORO, Ageless Ascetic, of course. Read it and weep. Basically, unless someone is playing EREBOS, GOD OF THE DEAD, you gain life constantly. Notice the art too. This is what struck me first. I am an art kind of guy! I have studied this picture several times, and am finding new things. Notice the bandolier he is wearing…He’s a giant…He has regular sized human weapons strapped to that bandolier! 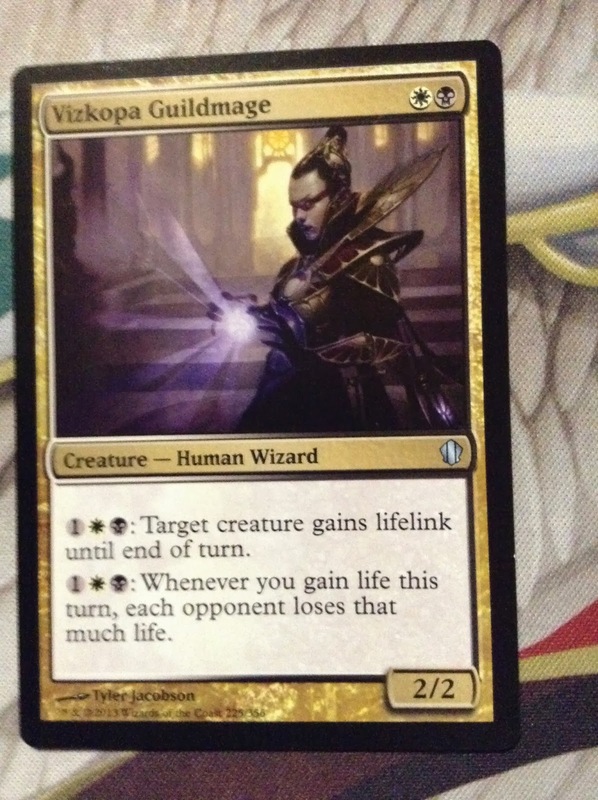 You also get this sqinx as an alternate commander. 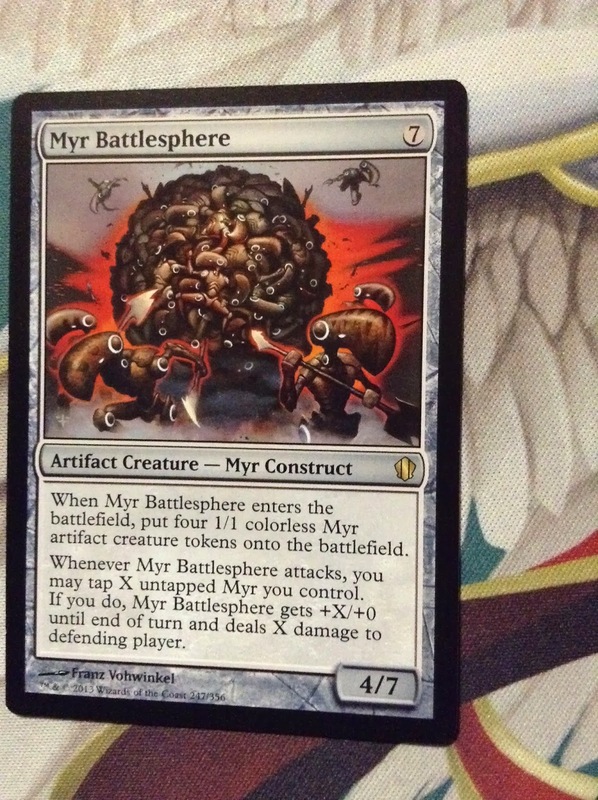 This deck plays lots of artifacts, so this card approaches that angle. This card also tackles the artifact angle. This poster comes with the deck. It is pretty, but this side doesn’t accomplish much but tell you some fantasy story that surrounds Oloro. This side accomplishes a lot! You get a very light summary of how to play the deck, and then the deck list. 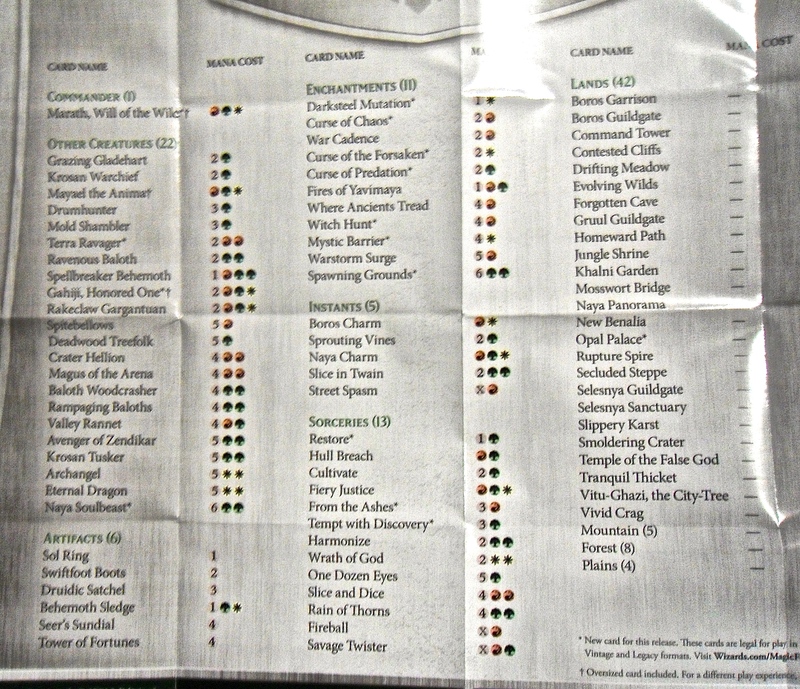 Here is the deck list alone, if you want to try and read it. AZORIUS. Enough said. But cool enough, both times I have played this deck, he wound up in the graveyard, and I was able to cast him from there and get the life gain benefit! There is one of these in every Commander deck apparently. This is a great card, and legal in modern! This card is one of the staples of my self designed life gain deck. The fact that she can give you life and burn EACH opponent is great! She can be burned easily, though, and her abilities are indeed a tad expensive. Sorry about the sideways action. I didn’t get to use the ability on this card, but it is a source of card draw. A slow source of mana…. This card is normally a complete board wipe. Get rid of those indistructibles and hex proofers! 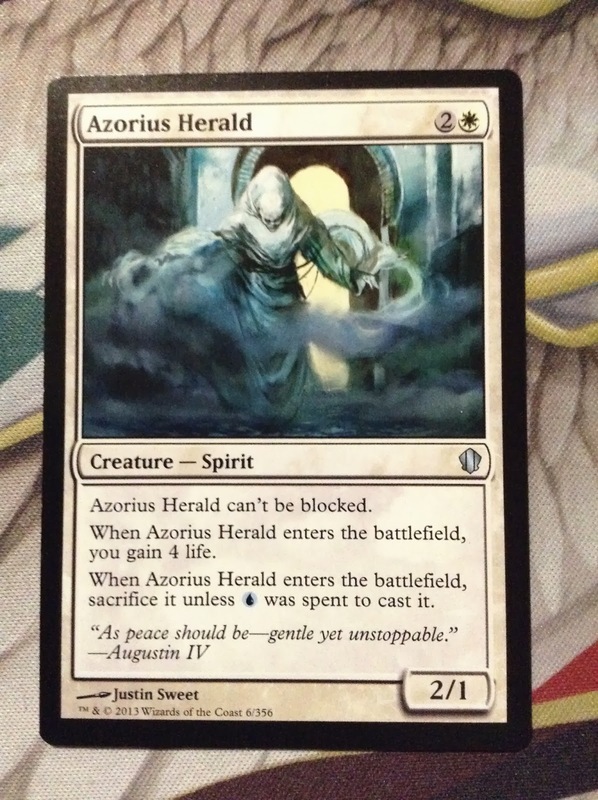 Same as Azorius Herald, I was able to cast this from the graveyard. But I have never been able to pay the echo cost. It has always appeared in the early game. I’m glad to own this! A panorama card comes with each Commander deck. I played this today, I like it…But I held off and used the tokens as blockers. Heh Heh. Drop this onto a commander…He becomes utterly useless! Another good source of life gain. Now we’re talking! A board sweeping artifact! A big drain spell. I usually wait ’til the very end to play stuff like this. The OLORO deck has lost both matches…I think it’s me, not the deck. Proshk, Sky Raider of Kherr is the one that did me in, with the commander damage rule. 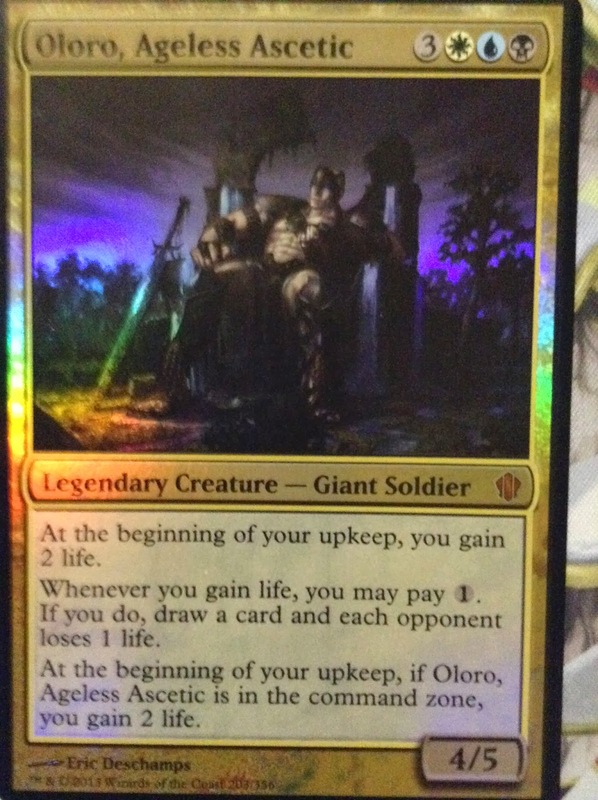 Oloro pretty much forces your opponent to swing with his commander, because there is probably no way that your 40 life is going to be whittled down. I am not going to rate this deck… Compared to Derevi, it hasn’t won as much. On the other hand, these are more of my natural colors…I like this deck, and love the art! Darksteel Mutation is maybe the best card for a commander, and then the Vizkopa Guildmage also really makes it work. Next time I am plain Derevi. Or maybe I will tweak this deck. Drain is one of my favorite styles. It just tends to be slow. I should maybe tweak this some. 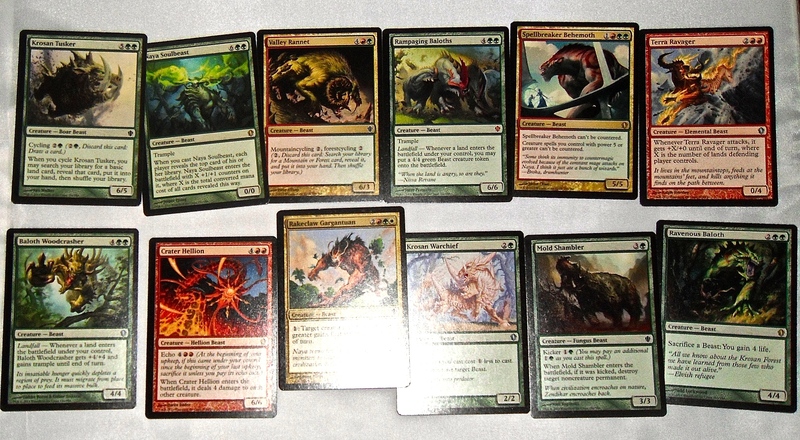 Posted in Commander, Derevi, EDH, Empyreal Tactician, Esper, Eternal Bargain, Mind Seize, Oloro, Power Hungry.